Simply Saucer, an underground proto-punk band hailing from Hamilton, Ontario, Canada, will play Reverberation Vinyl in Bloomington on November 12. Edgar Breau, John LaPlante, Kevin Christoff, and Neil DeMarchant formed the band in the mid-1970s, and after many lineup changes and one 7" single, broke up in 1979. In 1989, the group resurfaced with an album entitled Cyborgs Revisited which became known as one of the best Canadians albums ever released, eventually prompting a reissue in 2003. The record was produced by Grammy-winner Daniel Lanois, and is said to have been the starting point for his storied career as a producer, as he going went on to work with artists like Bob Dylan and Willie Nelson. Blending a number of styles to create a psychedelic-punk sound, Simply Saucer is seen as one of the most innovative groups of their time, so don't miss this one! 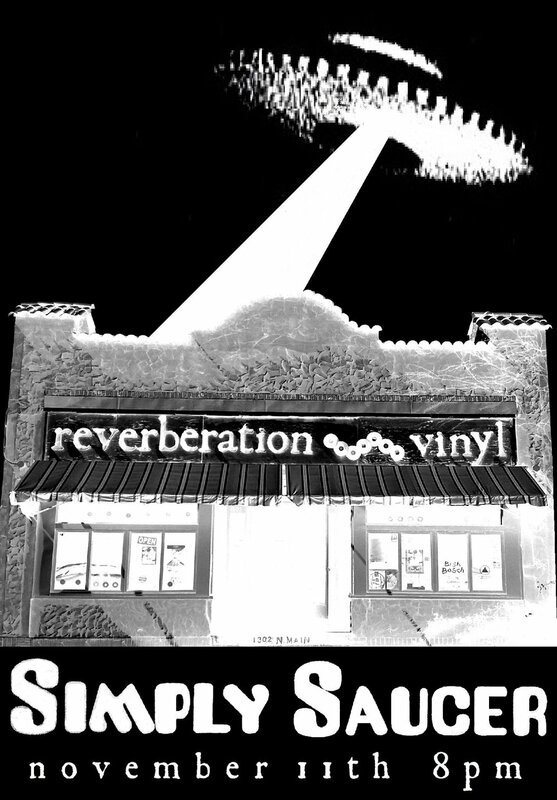 Click here for more information on the show via Reverberation Vinyl's Facebook page.